Use the cards as 'Write and Wipe Cards' or clip cards. 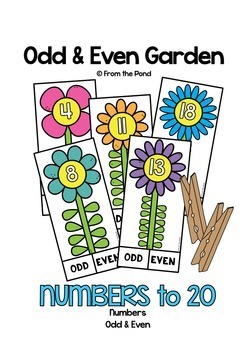 Students can circle odd/even with a marker or clip it to show their understanding. 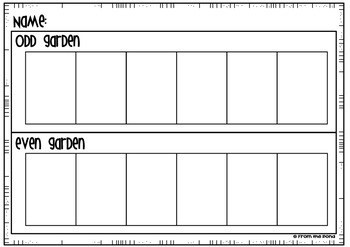 This packet also includes a blackline printable worksheet - students can cut and paste the make an 'odd garden' and an 'even garden' with the flowers shown. I have also added a 'cover page' to help you sort and organize your resources. 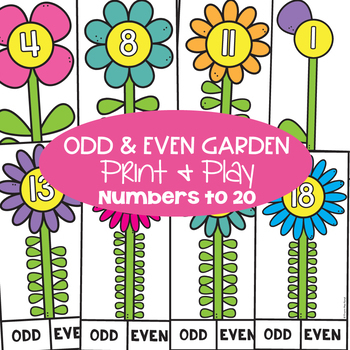 Check out the Odd and Even Garden math craft, HERE!